LibCal is a robust calendaring tool and its four distinct modules work together to provide an integrated solution. Two-way sync room and librarian reservations with Microsoft Exchange / Outlook! Room reservations made via Exchange will automatically block off availability in LibCal and reservations made via LibCal are automatically pushed to Exchange! Exchange support means you could potentially integrate LibCal room reservations with touchscreen panel displays. Enjoy synchronized reservations across all possible booking points, with minimal setup effort. 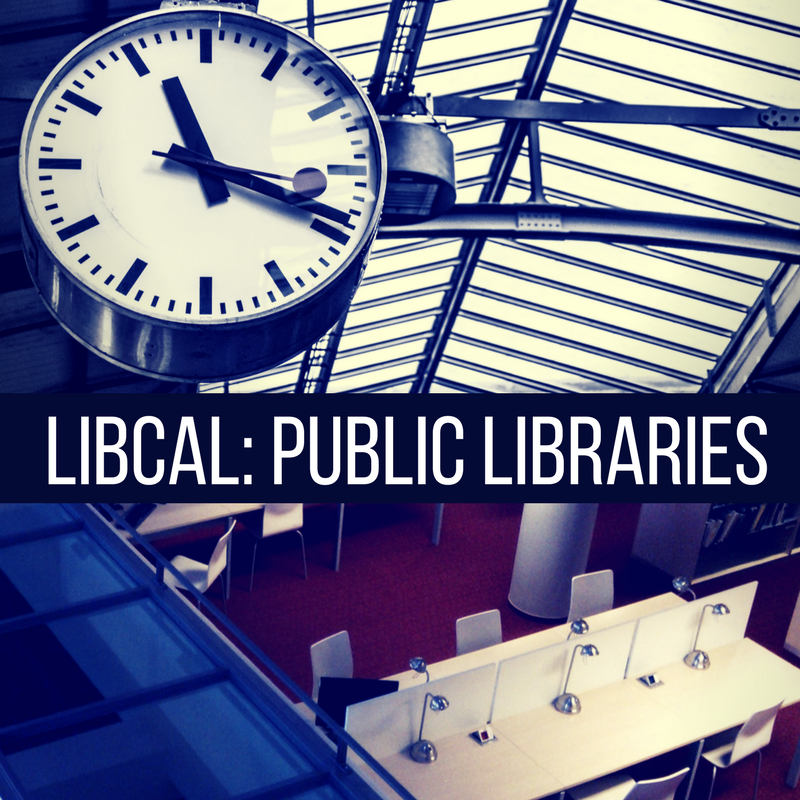 We'll cover a variety of examples showcasing how public libraries, big and small, are using LibCal to do more, save time, and improve workflows. Overview Tour - a brief tour of LibCal including all four components. Mobile-First/Responsive Design - Learn how LibCal displays beautifully on any device. In-Depth Statistics - Produce detailed reports showing how library rooms, equipment, and spaces are being used. Combine With Other Springshare Tools For Improved Workflows​﻿ - If you're using other Springy Tools, enjoy seamless connections between LibCal and LibGuides, LibAnswers, LibChat, and LibWizard. LibCal offers a fast migration from your existing calendaring tool - we'll migrate over past/present/future events and room-bookings plus all your statistics!